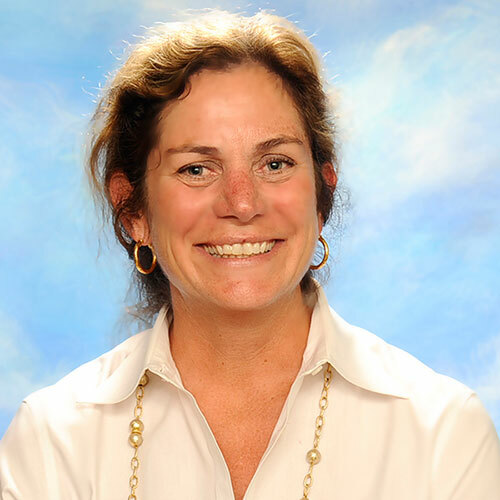 Laura Mansueti teaches Middle School Math and Math Enrichment. She has 18 years of experience and holds a Bachelor of Arts in art history from Washington College and a Master of Arts in Teaching from Johns Hopkins University. She has taught at SFdS for three years and sees her role as a coach and facilitator in the classroom. She personalizes learning in her classroom by using differentiated instructional approaches based on group and individual learning needs. All lessons are targeted toward mastery of skills and student success. Each student is assessed on at least three data points – informal assessments of both small groups and the entire class, formal assessments, and classwork. She encourages each student’s creativity by giving them options for leveled assessments.